Today, Tuesday, November 28, is a global day of giving. 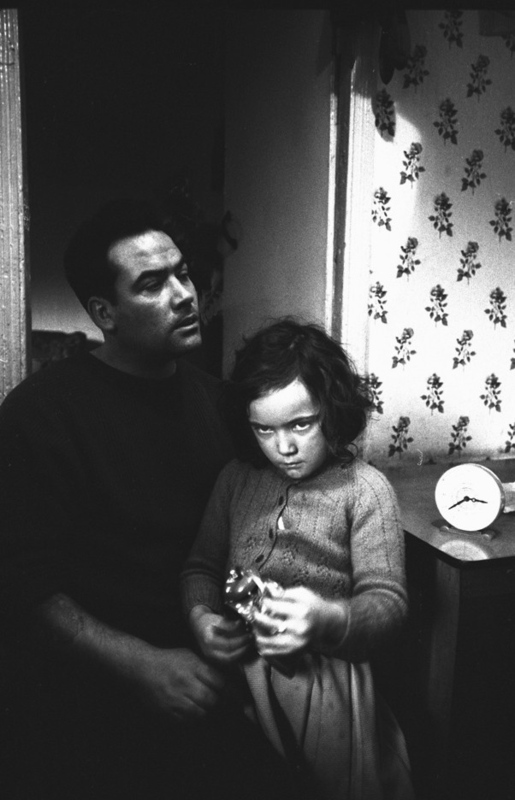 Your contribution will enable us to finish recording Aberfan. Click HERE to give. We’re near $10,000 — push this project over the halfway point! Please give what you can and tell others. All gifts are 100% tax deductible. If you have already contributed to this campaign – thank you for being a part of this! Create your own ripple — make a tax-deductible donation to Aberfan beginning this Tuesday, a global day of giving that will take place on Tuesday, November 28. Or at any time of the year. Use the blue donation button located at the top right side of my website. 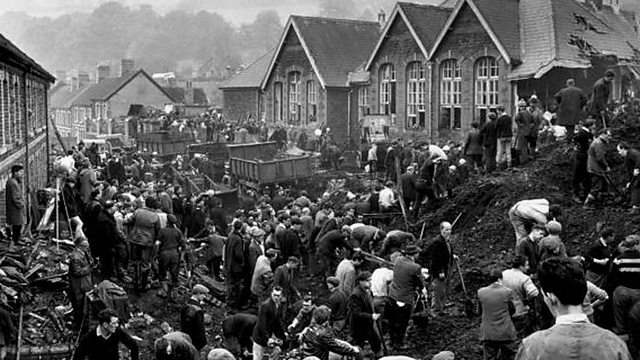 On October 21, 1966, in the small mining village of Aberfan, Wales, a man-made mountain of coal waste catastrophically collapsed on a primary school, killing 116 children and 28 adults. A Tribunal investigating the 1966 events found that the National Coal Board was entirely responsible for failing to act to prevent the disaster, though they were never prosecuted. “Go Children Slow”, one of my songs off Talon of the Blackwater, is chosen! What a great surprise. So cool it’s from the UK. To affirm this statement, make a tax-deductible donation to Aberfan on #GivingTuesday, a global day of giving that will take place on Tuesday, November 28. We’re near $10,000 — push this project over the halfway point! You can give through the blue donate button, located at the top right side of my website. If it is truly creative, art is radical. Art upends institutions and challenges us to examine the very fabric of our being, our society. We are loosened. 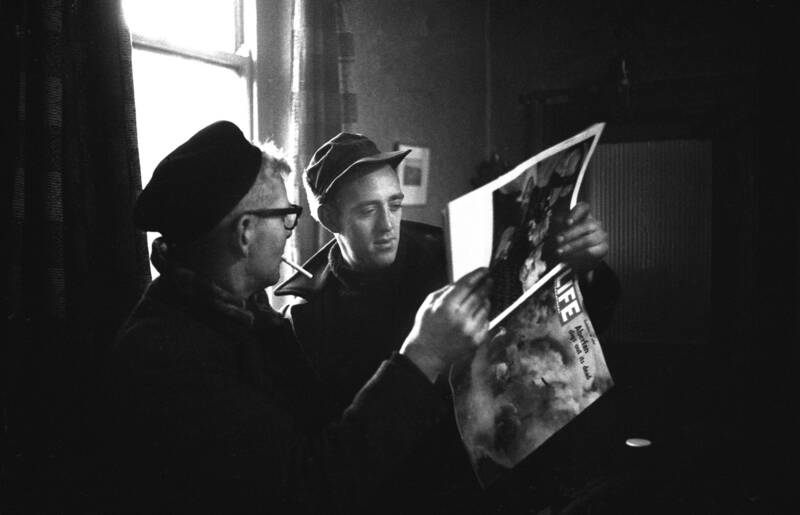 “Rain/Rubble”, demo excerpt of pianos from Aberfan. Life forever altered and forever bound to the two. Photo from AP Archives , the graves of Aberfan, October 27, 1966. What is the value of connecting to your soul? Does connecting to your soul enable you to make good choices for the environment? 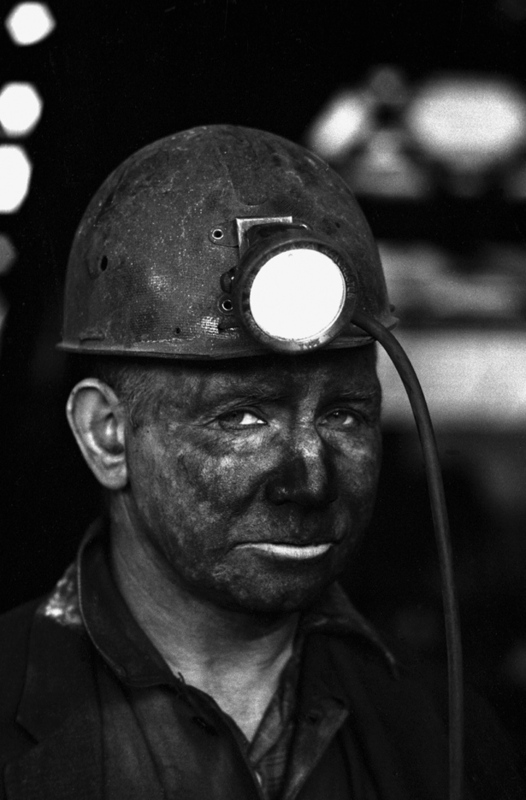 In this desperate time of upheaval, as our earth is besieged by unbridled industry pillaging the land and exploiting its riches — embodied by mountaintop-removal coal mining and fracking to extract natural gas — it is urgent we activate a moral and creative counterweight to intellectual arguments for climate change: awaken the spirit of shared humanity and responsibility that lives in each of us. Aberfan speaks directly to what is at the heart of our survival as fully actualized beings on a thriving planet — the need to reconnect with our own souls, where one realizes the interrelatedness of all things and greed does not overpower the value of life. Only then are we impelled to critically examine the impact that our daily choices are having on our environment. 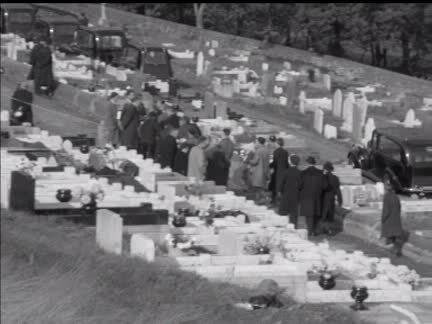 In bearing witness to the specific atrocity of Aberfan we expose our present challenge. In sensing what is greater than ourselves, we re-envision a sustainable and just future. At the crossroads of modern music, experimental media and environmental justice, Aberfan catapults this disaster into the present. Music will be presented both in exhibition, live performance and participatory installation with photographs taken by Life photojournalist IC Rapoport. Aberfan is a sponsored project of New York Foundation for the Arts (NYFA), a 501(c)(3), tax-exempt organization. Contributions are tax-deductible. ArtSake: How Have Mentors Affected Your Art? Posted recently at Mass Cultural Council’s blog ArtSake, a place to dig into the creative, innovative work of Massachusetts artists. Periodically, they pose questions to artists about issues they face in their work and lives. This month, they asked practitioners in a variety of disciplines, Have you had any important mentors? Who have they been, and how did they affect you? One day after a session with Maggie, walking down Trowbridge Street in Cambridge, I felt something I had never experienced before in my life. As if slightly elevated above the sidewalk, I was enveloped, cushioned in timelessness. I believed it was the Feminine. Maggie was a Jungian psychoanalyst and we had just begun our long journey together, which would last over years, until her death. Guide through the chronicle and cipher of my dreams; attentive to events whose plumb lines captured our attention in the daylight, Maggie traveled with me on an inner way towards my own creative center: where physical, psychological and musical sensations are one. Where, in fact, I co-create with God. To passage between waking and sleep, courier of images and sounds occasionally glimpsed or heard – where beauty is both dark and light, and evidence of trauma transformed. What access to rage and powerlessness, survival and hope, became the necessity of excavating and composing Aberfan, my work about the 1966 coal mining disaster in Wales – the crushing, dismembering experience of a man-made landslide upon a schoolhouse. I can only assume a sympathetic situation had existed within myself from the very beginning: a spontaneous child disavowed. Laura Siersema is a composer, pianist, vocalist, and poet. Learn more about her ambitious Aberfan, which is a sponsored project of New York Foundation for the Arts (NYFA), a 501(c)(3), tax-exempt organization. 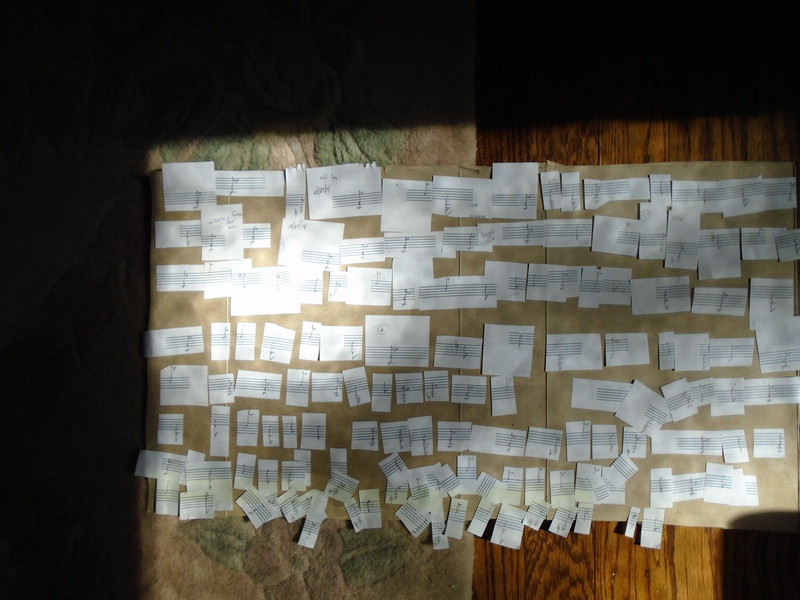 photo from the process of creating the “Altered Interlude” in Laura Siersema’s ABERFAN. How Have Mentors Affected Your Art? ArtSake is a place to dig into the creative, innovative work of Massachusetts artists. It’s hosted by Massachusetts Cultural Council, the state’s agency supporting arts, humanities, and sciences. Periodically, they pose questions to artists about issues they face in their work and lives. This month, they asked practitioners in a variety of disciplines, Have you had any important mentors? Who have they been, and how did they affect you? I am honored to have been asked to answer this question. Photo from the process of creating “Altered Interlude” in Laura Siersema’s ABERFAN. Aberfan is a sponsored project of New York Foundation for the Arts (NYFA), a 501(c)(3), tax-exempt organization. Contributions are tax-deductible to the extent allowed by law.